I'm excited to welcome Michele Israel Harper here today to talk about her fairytale retelling, Kill the Beast. As part of the blog tour celebrating the new release, Michele will be telling us about fashion in 18th century France, as well as sharing inspirational photos and how it all ties into her story. Ro remembers the castle before. Before the gates closed. Before silence overtook the kingdom. Before the castle disappeared. Now it shimmers to life one night a year, seen by her alone. Once a lady, now a huntress, Ro does what it takes to survive—just like the rest of the kingdom plunged into despair never before known. But a beast has overtaken the castle. A beast that killed the prince and holds the castle and kingdom captive in his cruel power. A beast Ro has been hired to kill. Thankful the mystery of the prince’s disappearance has been solved, furious the magical creature has killed her hero, Ro eagerly accepts the job to end him. But things are not as they seem. Trapped in the castle, a prisoner alongside the beast, Ro wonders what she should fear most: the beast, the magic that holds them both captive, or the one who hired her to kill the beast. ​A Beauty and the Beast retelling. Thank you so much for having me as your guest today, Lea! The original La Belle et la Bête by Madame Villeneuve was first published in 1740, and although I drew many elements from Mark Twain’s Personal Recollections of Joan of Arc (set in the 1400s), I wanted my Kill the Beast story world grounded in what the first Beauty would have seen and experienced. Although this video is decidedly British, the routine for French young women was similar if not the same, especially before Marie Antoinette took the fashion world by storm. French young woman wore their wealth on their clothes, as the narrator states, and the wealthy wore elaborate (and stifling) costumes. ​My huntress, Ro, in Kill the Beast was just a little girl when high fashion was the norm for her family. She remembers servants assisting her mother, and her older sisters getting ready and departing for soirées to flaunt themselves and their wealth for potential suitors. But she and her little sister, Cosette, never had to experience that particular brand of torture—er, um, fashion. She means fashion. The only life Ro knows intimately is that of the working woman. Early to rise, to cook, clean, and make the tallow candles her family sells to survive, as well as do pretty much anything her elder sisters are too lazy to do themselves. Her clothing is threadbare, hangs off her frame, and becomes more and more loose the longer the curse starves her people and her land. Although, unlike the video, when Ro goes to the Beast’s château and wears an elaborate Mesdemoiselles’ costume for the first time, the pockets are completely new to her. Who had extra material for luxuries such as pockets in the curse-ridden land the prince left his people trapped in? Oh my goodness, the pockets! In one scene, I needed Ro to sew some letters into her pockets. The only thing was, dresses did not have pockets during that time period! Women would wear sets of pockets or a single pocket under layers and layers of clothing that had slits in the sides. They would then have to dig their way through the layers to access them. Fun, right? The new pockets were a huge concern to Ro, because she had not grown up in fashionable society as her sisters had, and she didn’t want the beast to see the letters. She was so concerned she would forget to put them on with the ridiculous dressing ceremony she had to endure every morning! ​To put it mildly, oh heck no. I have been fitted for stays three different times in my lifetime, and I thought I was going to die each time. (That maaay be a tad dramatic, but I definitely have a modern mindset: I love comfortable clothing!) Then I read Siri Mitchell’s book, She Walk in Beauty, which explores the darker side of corsets and stays (both terms were used interchangeably historically), and my mind was made up. Those things are evil. Fans, hats, jewelry, strand of pearls, flowers, ribbons, feathers, or costly jewels for the hair, etc.—a woman was oft judged by her ability to fashionably accessorize. When I was at le Château de Versailles just outside of Paris, France, the gift shops had so many replicas of Marie Antoinette’s accessories, I couldn’t stop staring at them! And although this also was not a part of Ro’s world, when she is at the beast’s château, he takes her to his treasury and has her fill several chests with wealth to send to her family. Her sisters could certainly accessorize after that! Okay, I’ll be honest. I didn’t spend much time researching men’s clothing for Kill the Beast, but I did look up a few things while imagining my Prince Trêve’s costume. Then I found this video while I was looking for the ones I had seen before. Just imagine my prince in his typical royal-blue jacket, and there you have it! Okay, I love makeup, I do, but even I have to admit this looks ghastly. Women were not the only ones to powder their faces, and the black beauty dot on one’s upper lip or cheek was quite common during this time. French peasants didn’t have time to worry about fashion, so this was mostly seen in the French court or when nobility got together for gambling or dinner parties. Ghastly, I say! Much like the current trend to dye one’s hair gray or silver, powdering one’s wig or hair was certainly á la mode in 18th Century France. Americans drew heavily from French culture, copying their revolution, their fashion plates, their building designs, and even their flag’s colors, as we can see during the American Revolution and the popularity of powdered wigs. Hot, sweaty, smelly—I for one am so glad this is no longer in fashion! Marie Antoinette made tall hair a thing. In fact, she and her hairdresser worked on getting it taller and taller—using wire “cages,” pillows that resembled cotton mounds, and fake hair to get it to look just right, often topped with hats, jewels, strands of pearls, or feathers—between one and two feet tall! The general rule of thumb was one to one-and-a-half times the length of one’s face. Marie Antoinette often had trouble getting into carriages, and people complained they couldn’t see past her hair in court or chapel. Although tall hair never comes into play in my book—since it is set far after such fashion frivolities—I had such fun learning about it! Marie Antoinette (1755-1793) was certainly a trendsetter in her time, and she dearly loved fashion and shoes and shopping. Even though Kill the Beast deviates from true history significantly, I could not help but study her as I looked back on what France was like before my fictional curse fell. 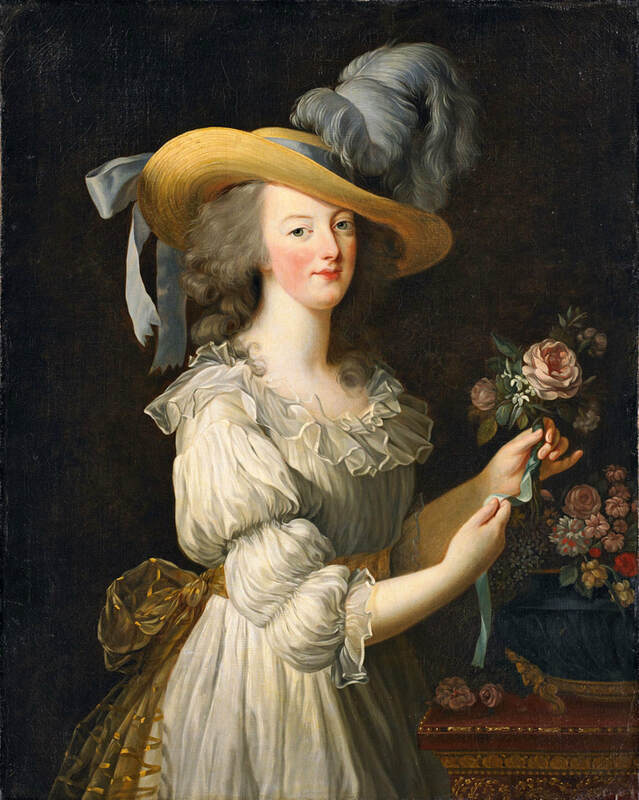 Marie Antoinette loved to wear pastel pinks, soft grays, and baby blues, and anything she did, fashion quickly followed. Not only in her clothes—most of the rooms in le Château de Versailles and Trianon that Marie Antoinette had decorated were replete in pink! ​Walking through where she lived was one of the best experiences of my life, and visiting le Château de Versailles helped solidify so many things about my Kill the Beast story world, including its fashion. I hope you enjoyed this peek into my story and French history. And thank you again, Lea, for having me! Thanks for sharing with us, Michele. Wishing you all the best with your new book! Michele Israel Harper spends her days as a work-at-home mom and her nights typing away furiously on her laptop. Sleep? Sometimes . . .
Harper has her Bachelor of Arts in history, is slightly obsessed with all things French--including Jeanne d'Arc and La Belle et la Bête--and loves curling up with a good book more than just about anything else. 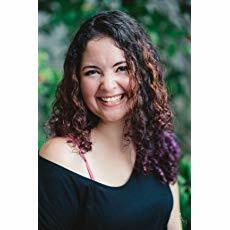 Author of Wisdom & Folly: Sisters, Zombie Takeover, Beast Hunter, and Kill the Beast, Michele prays her involvement in writing, editing, and publishing will touch many lives in the years to come. ​Did you miss a stop in the blog tour? Check them out here! *All images are purchased stock images from DepositPhotos.com and are approved for editorial use, unless otherwise stated as public domain. we're having a blog hop! Enter for a chance to win the Grand Prize of 13 fairy tale paperbacks! Welcome to the 2018 Fairy Tale Blog Hop! I'll keep this short and sweet--like some fairytales. (Well, the short part, anyway.) While my favorite color or flower or flavor of ice cream changes from time to time, my favorite fairytale is one that has remained constant and one that is beloved by many. It's Beauty and the Beast, both the original and the many adaptations I've read (and watched). Perhaps the main reason is that one of my favorite authors of all time is Robin McKinley, who wrote my favorite retelling of all time, Beauty: A Retelling of the Story of Beauty and the Beast. This is the exact cover I have on my shelf. My copy is dog-eared from re-reading and yellowed with age. It's not the most groundbreaking of adaptations, but there's something comforting and familiar about it that takes me back to when I was twelve years old and had time to read for hours on end, which often put me late for supper or past my bedtime. I read everything by Robin McKinley that was out at the time (and I've read almost everything else since then, although I only own FIVE paperbacks). The magic and adventure in her books--not to mention the heroines--cemented my desire to be a writer. The first book in my Firethorn Chronicles series, surprisingly, is inspired by The Twelve Dancing Princesses rather than Beauty and the Beast (you'll have to wait for book four to be finished for that one). In my series, I've combined two of my favorite things: fairytales and dragons, and I'm giving away one of each during this blog hop. 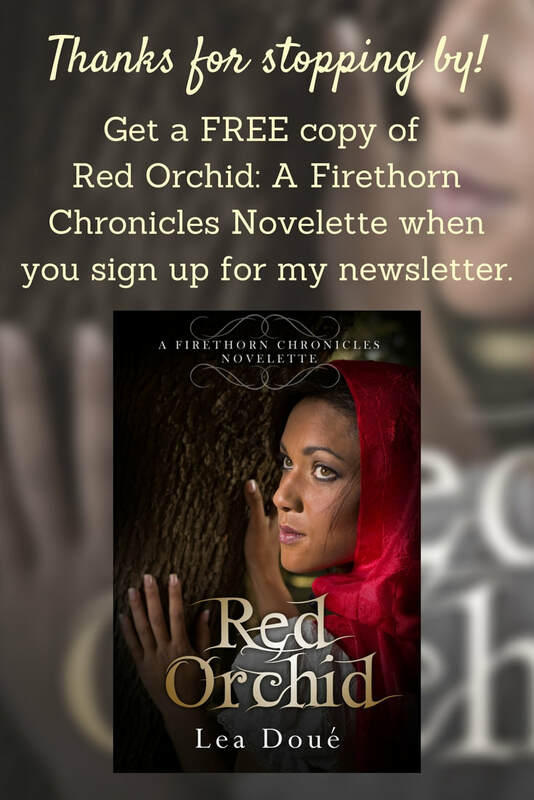 For a chance to win a Firethorn Chronicles ebook of choice (Kindle copy) AND a plush dragon, enter the Rafflecopter giveaway below. Once you've done that, scroll down to the list and hop to the next author in line, Jeanna Mason Stay (and don't forget to collect the numbers!). Happy reading and Happy International Fairy Day! Can't get enough fairy tales? Find out about the Facebook Wrap-Up Party! You can also play the interactive Fairy Tale Book Recommendation Game on Facebook and get free chapters from the authors involved in the blog hop! Follow the trail to each author's website, and while you're there, read through their post to find their favorite number. Collect all thirteen numbers and add them together. You'll need this special number to enter the Rafflecopter giveaway for the Grand Prize on Shonna Slayton's website. Some of the authors will have BONUS CONTESTS running on their websites. Be sure to enter those, too! And help us celebrate International Fairy Day by sharing the fairy tale love with all your friends! *The Grand Prize winner will be contacted on Saturday, June 30 and will have three days to confirm before the prize is offered to the next person.